Left to right: Daren Geschwindt and Dustin Berndt. 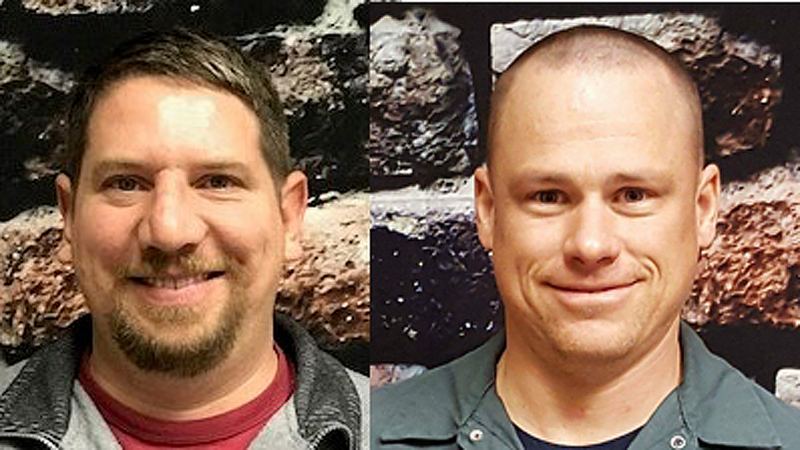 Class II Reading & Northern (RBMN) has promoted two long-time employees—Dustin Berndt and Daren Geschwindt—to Vice President Motive Power and Vice President Distribution Services, respectively. Berndt joined RBMN in 2000, working in the locomotive shop. 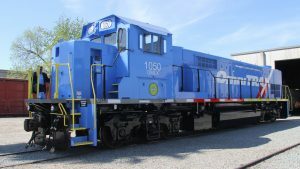 In 2012, he was named Assistant Vice President Motive Power “in recognition of his hard work and dedication to improving the locomotive fleet,” RBMN said. “During his tenure in the locomotive shop, Dustin has seen the fleet grow from 15 engines to the 40 plus locomotives his shop now manages. Along with the engine house crew of seven mechanics and two electricians, he ensures the safety and efficiency of the locomotive fleet through scheduled inspections and routine maintenance in addition to identifying new locomotives for purchase as well as mechanical upgrades to the fleet.” He reports to Executive Vice President Operations Tyler Glass. Geschwindt joined RBMN in 1994 as an Assistant Traffic Clerk. He worked on the Transportation side of the railroad a dispatcher and a conductor from 1996 to 2001, when he received an engineer license and was promoted to Manager Operating Rules and Safety. He was named Director Operations Compliance in 2003, and then in 2009 became Assistant Vice President Operations Planning. 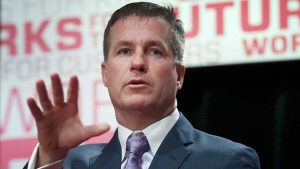 Geschwindt returned to the commercial side of the company when he was appointed Assistant Vice President Customer Service Operations. In 2016, he took on several special assignments including the transition to becoming an interline railroad and managing transload operations as Assistant Vice President Merchandise Traffic. In that capacity, he also led the acquisition and restoration of service to RBMN’s new Ransom Warehouse as well as trucking operations for the company. As Vice President Distribution Services, reporting to RBMN President Wayne Michel, Geschwindt will be managing transload operations, including the warehouse, as well as overseeing the operations of the Reading Railroad Transfer, LLC. “It is always a pleasure to promote home-grown talent,” Michel said. “Dustin and Daren have been with us for the better part of the past two decades. They have both shown tremendous growth. Dustin proved himself both a master mechanic and an excellent supervisor. As our locomotive fleet grew, Dustin grew with it. Now we have close to 50 locomotives and we have a superb leader in Dustin. “Daren is an example of our efforts at cross-training. He has moved back and forth over his career between the commercial and transportation sides of the company. That varied experience makes him an invaluable part of our company’s future. His recent efforts in managing our warehouse and transload business have shown he is capable of taking on great challenges and succeeding. 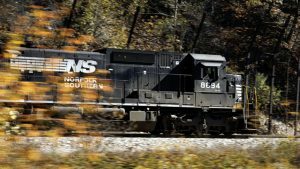 RBMN, with corporate headquarters in Port Clinton, Pa., is a privately held railroad company serving more than 70 customers in nine eastern Pennsylvania counties (Berks, Bradford, Carbon, Columbia, Lackawanna, Luzerne, Northumberland, Schuylkill and Wyoming). 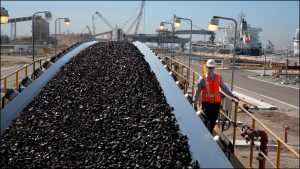 It has expanded its operations over the past 30-plus years and now handles well over 30,000 carloads of freight and 120,000 excursion train riders over 340 miles of track. RBMN operates freight services and steam and diesel-powered excursion passenger services, owns almost 1,300 freight cars, and employs more than 200. The railroads is a three-time recipient of Railway Age’s Regional Railroad of the Year Award (2002, 2011 and 2015).